Take a television set from the 1980’s and one from 2017. Sure, both devices will function appropriately and allow you to view your favorite television show or movie, but the set from the 1980’s will clearly have a very limited set of capabilities compared with the one from 2017. The 1980’s set may not even have a remote. The picture will likely be much less clear, more grainy, and ultimately compromised. It may take a few minutes of running before the set functions properly. And odds are the set will be much more prone to malfunctions or breakdowns. On the other hand, the television from 2017 will have a much cleaner, crisper picture, allow for synergy with other applications such as a streaming device, and likely have a much longer lifespan. In short, the 2017 television set will operate at a much higher level with a more streamlined operational platform for a much longer amount of time. The probability for error will be quite low and the 2017 will work in conjunction with other modern technology. Think about the process of writing an email for a moment. How do you go about this task? Do you compose the email in one session without filtering what you want to say or the information you want to convey, only then to go back and reread and edit the email at some later date? Or (and perhaps mostly likely, at least for many people), do you compose the email and edit as you go, deleting phrases, substituting words, or changing ideas and adapting the information in the moment as necessary for the best possible communication? 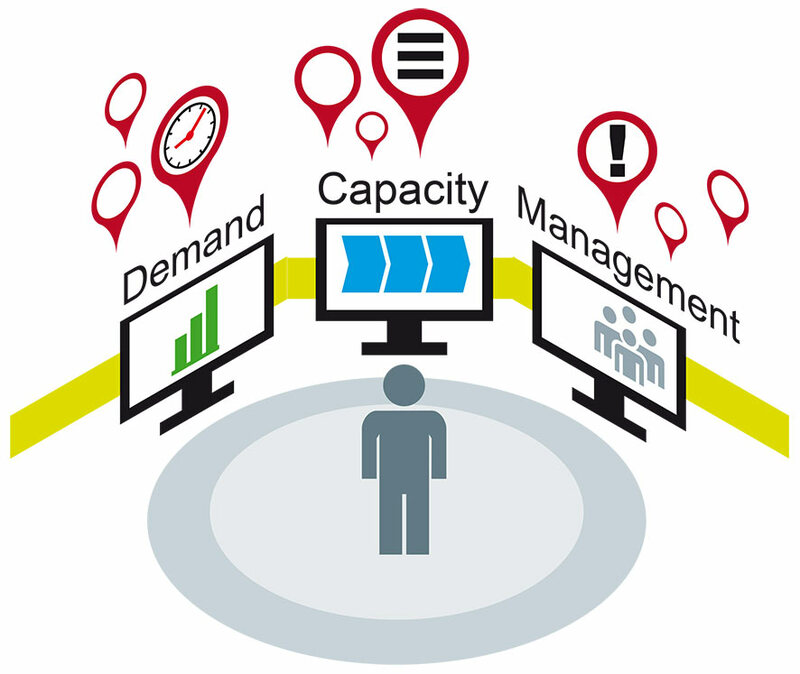 Today’s OEMs often find themselves at an interesting and confusing crossroads: The need or opportunity to increase sales by increasing production volumes without significantly altering short and mid-term planning strategies, which can result in severe bottlenecks or disruptions across a company’s entire value chain from dealer to customer. 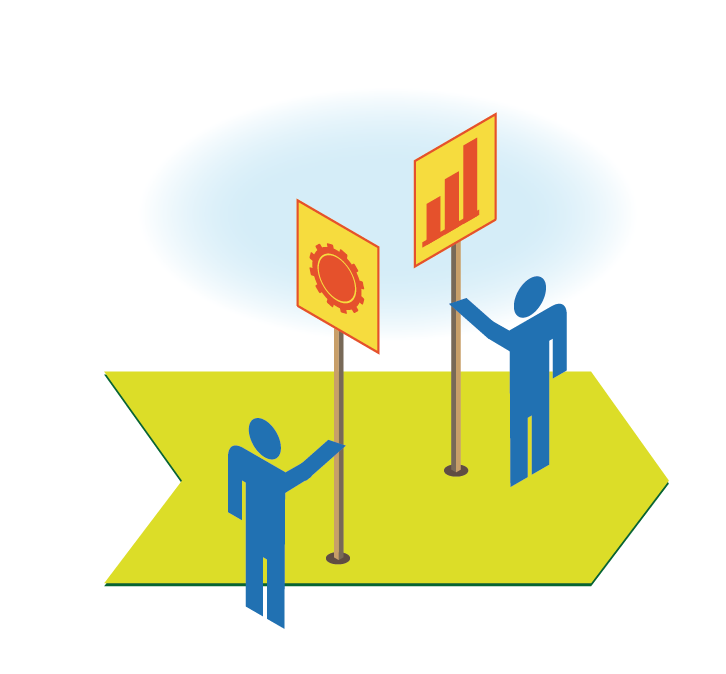 It’s a Catch 22 - how to grow and expand without overextending an OEMs resources, production programs, facilities, personnel, and planning platforms - and it’s a problem more and more companies face in a complex, diversifying industry. The automotive supply chain is already a variant-rich industry with the potential for serious pitfalls in production shortages, overages, and disruptions, especially with entry in new and emerging markets in disparate parts of the globe. Unforeseen events or fluctuations in demand or planned production programs are at the front of planners’ and managers’ minds as they strive to cut through the complexity of the global supply stream and leverage enhanced visibility and transparency into their supply situation. It makes sense then that the opportunity for volume increases adds another layer of complication onto an already delicate balancing act of demand and capacity. Order planning in aggregate and component plants is a complex process, especially in today’s global supply landscape. Planners and managers have to take a number of factors into account when engaging in order planning on this level to ensure smooth, continued production programs that meet customer demand, delivery dates and quality control benchmarks. 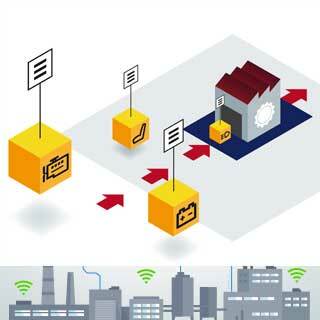 Streamlining and enhancing the efficiency of order planning as part of lean manufacturing principles is a core driver for OEMs and manufacturers in fostering a responsive, transparent, and agile supply stream — all of which result in increased E2E visibility across a company’s entire value chain. Because of the global nature of today’s automotive supply chain, slowdowns or valleys in production programs are constantly on the minds of OEMs and others across the supply stream. 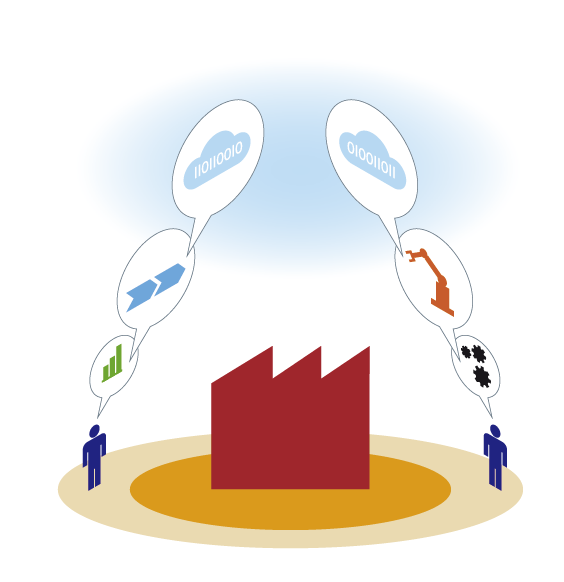 With so many disparate parts of the world now in play with production, distribution, warehousing, or transportation hubs, holidays, seasonal lulls, and other brands of disruption in terms of productivity can not only be frustrating for various players in the automotive landscape, but they can also be significant pain points for companies who do not utilize this time effectively. 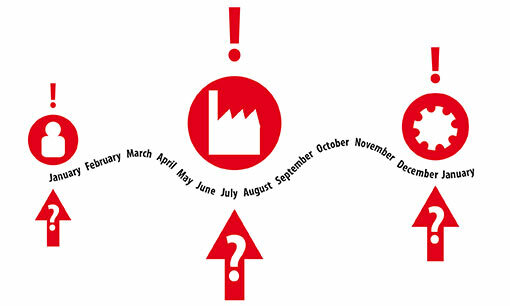 For example, take a recent article in the commerce publication MarketWatch suggested this past summer was atypical in terms of production levels - at least throughout Europe, primarily in Germany - with manufacturing continuing at a brisk pace throughout the usual summer slow season, many within the global automotive supply chain still experienced lulls in orders and planned production programs. With so many employees on vacation and crucial parts of the supply stream in something of a holding pattern as the industry prepares for the busy fall season, it’s tempting to view the summer months as nothing more than downtime - a breather from the harried spring ramp-up in production. Given the 24/7, 365-nature of today's automotive industry, this summer slowdown instance is just one example of periods when production can slow and productivity can wain. 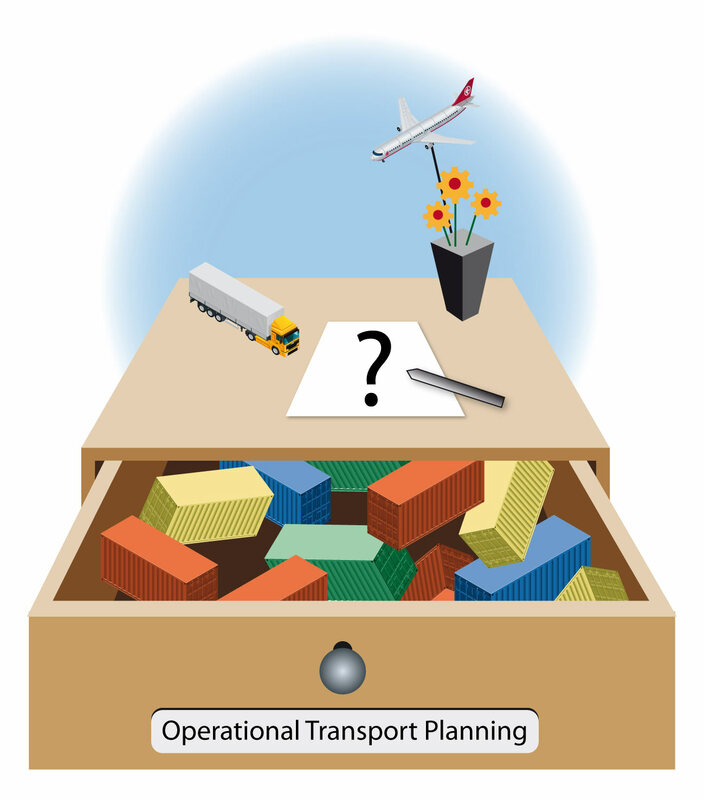 Operational transport planning in today’s automotive supply chain is like that one junk drawer or cupboard everyone has in their house. It’s a chaotic collection of seemingly unrelated items that you often forget about until a certain item goes missing. The drawer or cupboard lacks any kind of organization and you often have little idea as to the volume, quantity, and nature of items inside. 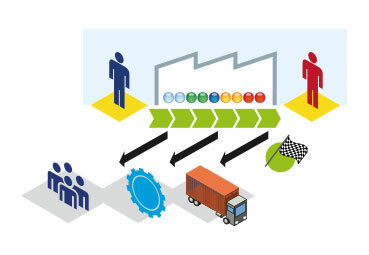 Similarly, operational transport planning and its lack of transparency and visibility into the overall supply situation means increases in unnecessary costs and resources, missing or lost parts and deliveries, and more complex logistics that detract from the clarity necessary to leverage lean supply chain management principles. In short, operational transport planning can be a significant stumbling block for OEMs and Suppliers in transporting, monitoring, and reviewing how their parts move from production facilities to the customer, both in terms of speed and condition. 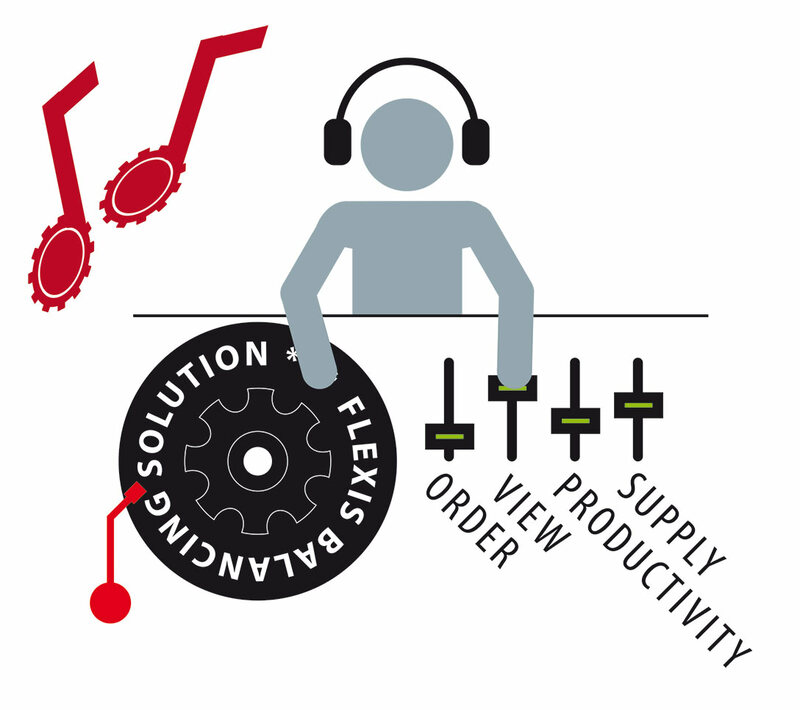 To understand the importance of a balancing solution in supply chain management, think about the knobs and dials on the average stereo system. Treble. Bass. Mid. Fade. These elements, when adjusted and mixed properly, provide the best possible sound quality optimized to the kind of music being played and based on the listener’s desires. The harmony of these different audio components is what makes or breaks how good or bad a piece of music sounds, which can seriously impact how the listener feels about the music - if they’ll be likely to play the music again, recommend it to someone else, and so on. An optimized balancing solution is very similar in that it accounts for a number of variables, restrictions, and constraints in assigning customers orders to specified production programs with the right part levels and resources to ensure on-time delivery. Much like how the right mix of audio elements creates a harmonious sound on your stereo, balancing solutions foster a harmonious workflow wherein production, logistics, and sales factors work in conjunction to create a well-balanced production program with stabilized parts demand and an even distribution of manpower in assembly and production.